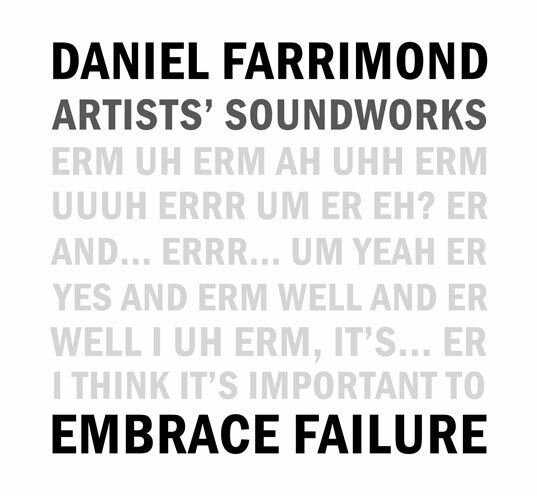 Embrace Failure is a sonic collage that condenses a piece of discourse to focus on breaks in speech. 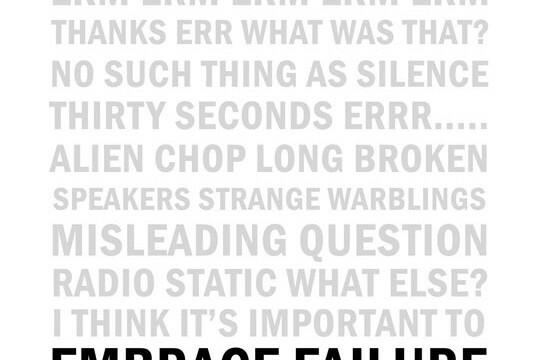 Discourse markers, interjections and other such uncertain utterances are presented in rapid succession to create an atmosphere of hesitancy and confusion. 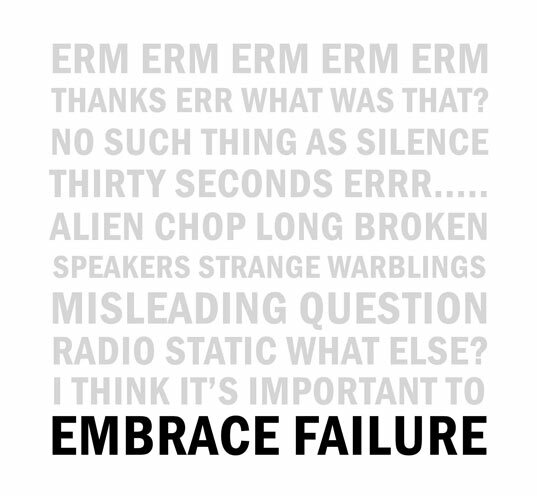 The comment “it is important to embrace failure” aptly encapsulates the previously uncertain and unsuccessful attempts to recall what it is they meant to say. The work has been made available to the public. The material quoted must be accompanied by some actual discussion or assessment (to warrant the criticism or review classification). The amount of the material quoted is no more than is necessary for the purpose of the review. * Exact source of the interviews has been lost to the annals of time, so it is impossible for me to acknowledge the original authors. If you are the owner of any elements presented in this piece and would like to be appropriately credited or for your work to be removed, please contact me and I will take action accordingly.